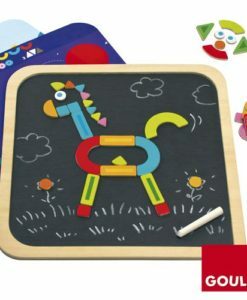 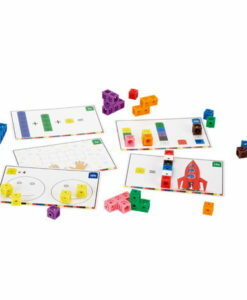 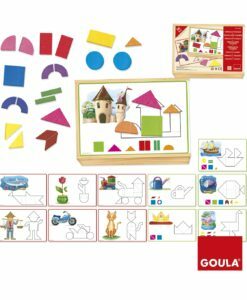 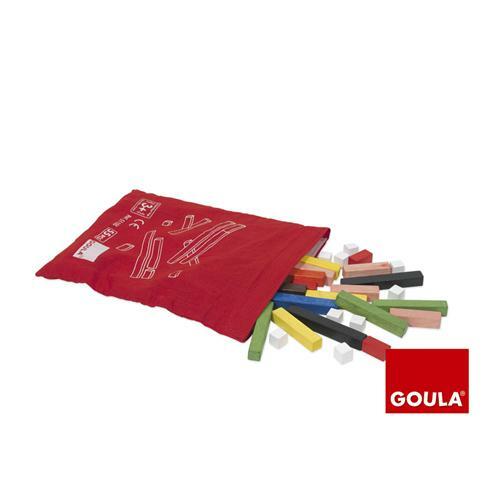 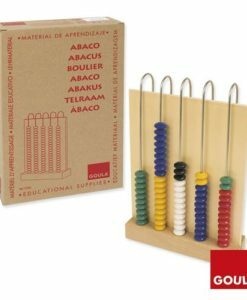 This Goula Rods 10 x 10 set is a fun way to support children to develop mathematics skills from an early age. 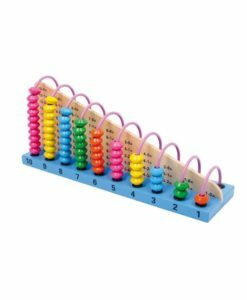 The set includes 55 wooden rod pieces, which are of different lengths(1-10cm) and bright colours. 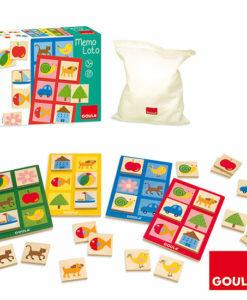 A cloth bag is provided to store the pieces which also makes this educational toy ideal for travelling. 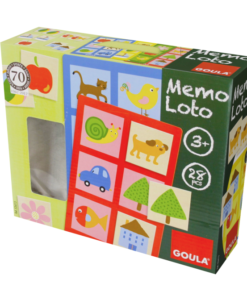 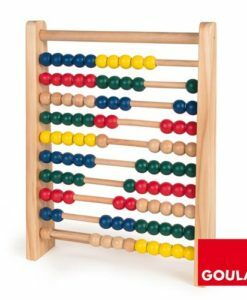 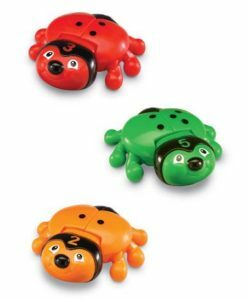 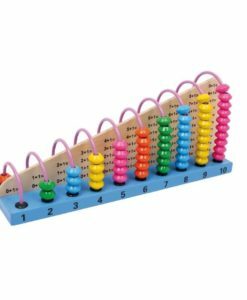 The Goula Rods help children understand the concept of numbers, logic, number breakdown and memory. 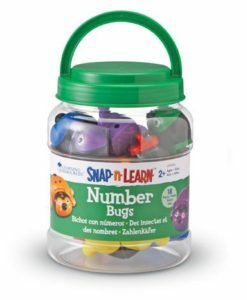 This is a fantastic way to help children learn. 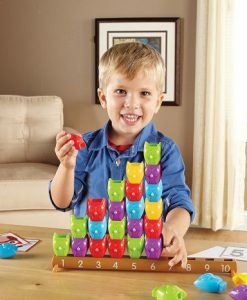 Furthermore, there are a number of ways to play. 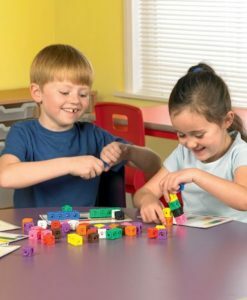 One option is unstructured, where the child plays freely with the rods, making different combinations and constructions. 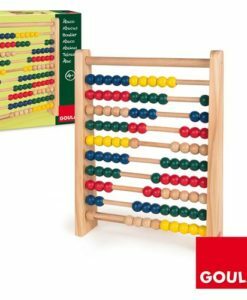 Other options are more structured, such as sorting the rods by colour and length, using the rods to do add or subtract, multiplying equal numbers and finding the combination of rods to make up a given length. 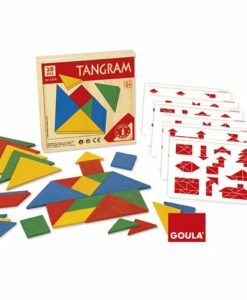 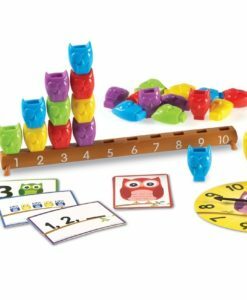 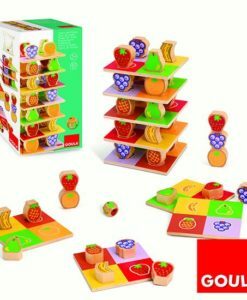 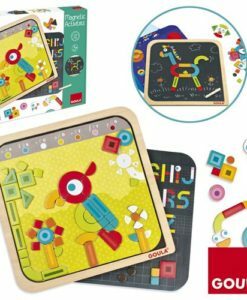 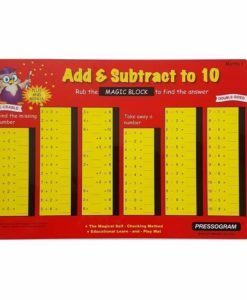 So this educational toy will make learning mathematics much more fun and engaging.